Out of the abundance of God’s merciful provisions, Concordia joyfully supports mission work locally and throughout the world, and as the Lord blesses us, are always looking to increase our support of faithful mission work as we are able. Rev. Roy and Eliza Askins serve the Lord as career missionaries through The Lutheran Church—Missouri Synod (LCMS) in Hong Kong. Roy is the director of communications for the Asia Pacific and the Southern Asia and Oceania regions. He works with other LCMS personnel serving in these regions to communicate the Gospel through social and other media outlets. He helps to share the story of what God is doing through LCMS personnel, partner church bodies and all believers, using print media, video, social media and the Internet. These resources are used to enlighten the church worldwide and encourage LCMS congregations and members to pray for and consider supporting those serving in these regions and around the world. Learn more about the Askins’ work here. Concordia is pleased to be able to offer modest support to men who are preparing for to serve the Church as Pastors. 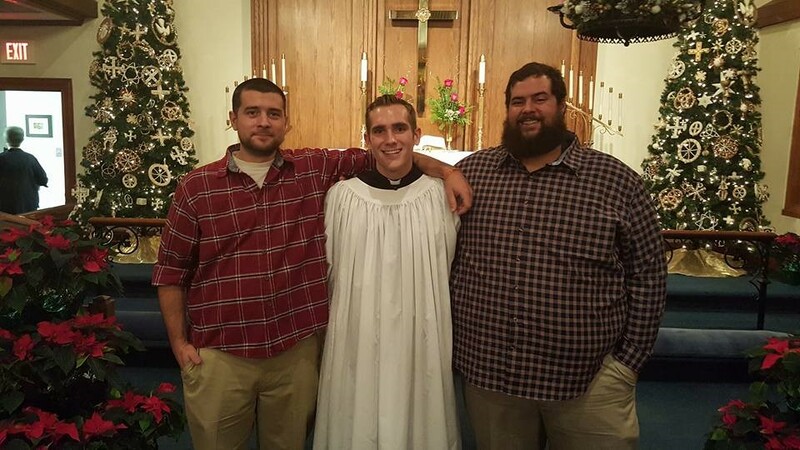 Currently, we support one student at each of the LCMS’s two seminaries. Here is a bit about them. JohnDavid (JD) has recently completed his vicarage year, which he served in Clio, Michigan. 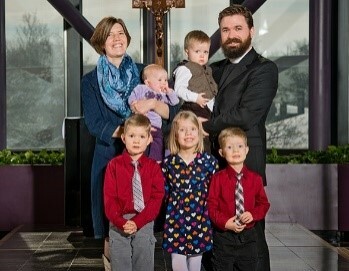 He and his wife, Mikaela, also recently welcomed their second child, and now they return as a family of four to St. Louis for JD’s fourth and final year of seminary study at Concordia Seminary. In May of 2017, Lord willing, he will receive his first Divine Call, and he will learn where he will first serve as a Pastor. 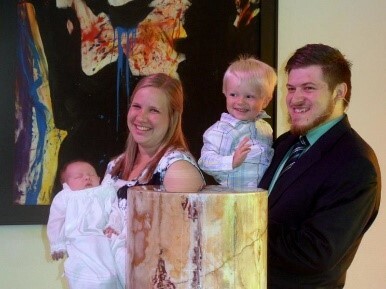 Keep the Zischkes in your prayers during this busy and exciting year. Joshua, a native of Little Rock, AR, is Concordia’s most recent adopted seminary student. Joshua will begin his 2nd year of seminary studies during the fall of 2016. Recently, he had the opportunity to serve a summer vicarage in Milwaukee, even in the midst of that city’s violent summer. But even then, he was learning the importance of bringing Christ and His Word to those who need it most. Keep Joshua in your prayers as he studies for service to the Lord and His Church. In October of 2015, the Herndon family had spent the past year collecting thousands of stuffed animals. They had collected so many stuffed animals that they could hardly walk around in their home. The goal, was to box up those toys and send them to the children of Belize. In fact, each of those stuffed toys would make it possible for a child to receive a present for Christmas. Of course, this would also give them an opportunity to tell those children about the love of Jesus, who is the greatest gift ever given! 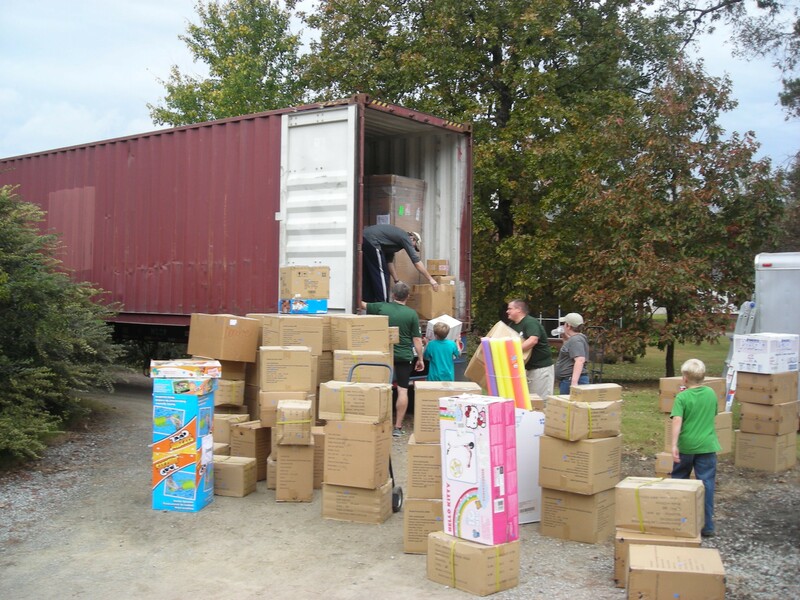 That year, the Herndons were able to send 11,1001 animals on a shipping container, along with other toys and some medical supplies. You can learn more about that project here. For 2016, however, as part of Concordia Lutheran Church, the goal is to send 20,000 stuffed animals, and whatever else will fit on the container. Already, we have one storage facility filled and another is close to capacity. There are also additional medical supplies, school supplies, and other necessities with which the children of Belize will be well served. And once again, there will be an opportunity to bear witness to the Lord’s incarnation, the gift by which He accomplished the salvation of the world. Call the church office if you’re interested in learning more about this project (731-668-0757). is cut into strips, those strips are tied together in a ball, and then those balls of plastic “yarn” are crocheted into plastic mats that end up getting sent to Haiti, Belize, the Dominican Republic, and wherever else there is a need. 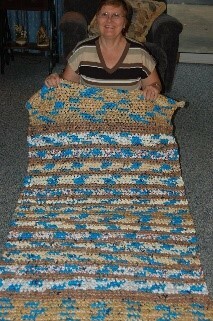 Since the project began, more than 600 plastic mats have been sent to those in need. 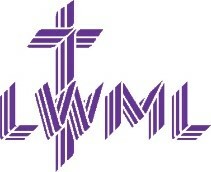 The LWML is the official women’s auxiliary of The Lutheran Church—Missouri Synod. For almost 75 years, the LWML has focused on affirming each woman’s relationship with Christ, encouraging and equipping women to live out their Christian lives in active mission ministries and to support global missions. Concordia’s own chapter of the LWML meets monthly for devotion, to find ways to serve local mission efforts, and in order to encourage support of the national mission grants. Joyce Doyle is Concordia’s chapter President. Find out more about the work of LWML here. For Lutheran churches around the world, these situations are reality. They don’t have the basic books, so vital to understanding the Lutheran faith, because no one has translated them into their languages. Through the mission gifts of people like you, LHF translates, publishes, distributes and introduces books that are Bible-based, Christ-centered and Reformation-driven. LHF has published the catechism in more than 75 languages, and 15 additional translations have been requested. In the past decade, LHF has published and distributed more than 725 titles and 3 million Lutheran books to pastors, seminary students, missionaries and churches – all at no cost to them. Learn more about LHM by visiting its website.